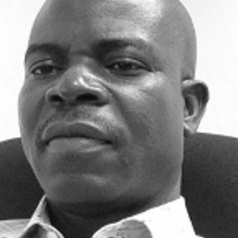 Azeez Olaniyan is a senior lecturer in the Department of Political Science at Ekiti State University, Ado Ekiti in Nigeria, where he is also the assistant director of the Institute of Peace, Security, and Governance. He completed his PhD in political science at the University of Ibadan in Nigeria in 2007. He obtained postdoctoral research fellowships from the American Council for Learned Societies (ACLS) for the African Humanities Progamme (AHP) and the University of KwaZulu-Natal in Durban, South Africa. In addition to teaching and supervising students at both undergraduate and postgraduate levels, he has conducted significant research in areas related to conflict and security, ethnic politics, social movements, and environmental politics. Lately, he has concentrated his research efforts on conflicts associated with environmental issues. In particular, he has conducted extensive research in Nigeria and Ghana on the phenomenon of famer-herder violent conflicts.